Thursday night. Long day after catching the 4:51 am train to Princeton, New Jersey (and the 2 hour 15 minute shuttle ride back). So what better way to get an early start on the weekend than a stroll over to the Hester Street Fair (the Thursday version) at the Eventi Hotel. Food, beer, tables and Caddie Shack on a big screen starting at 9:30. Our real reason for going over was to satisfy my sweet tooth. I wanted chocolate. 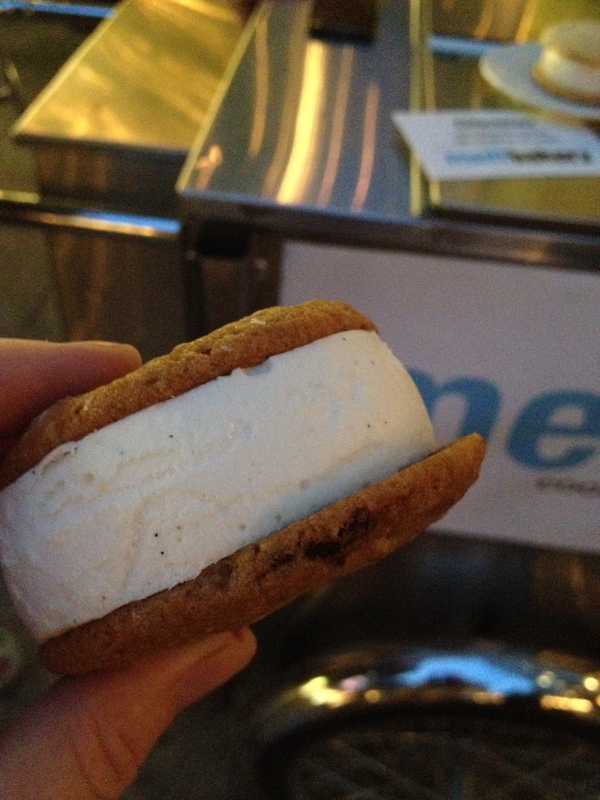 So to Melt Ice Cream Sandwiches we went. We saw Julien behind the cart. I went with the classic: chocolate chip cookie with walnuts, vanilla ice cream. Each bite was perfect. The cookie didn’t break and the ice cream wasn’t all soft and squeezing out. Delicious. Check out my visit from last year. 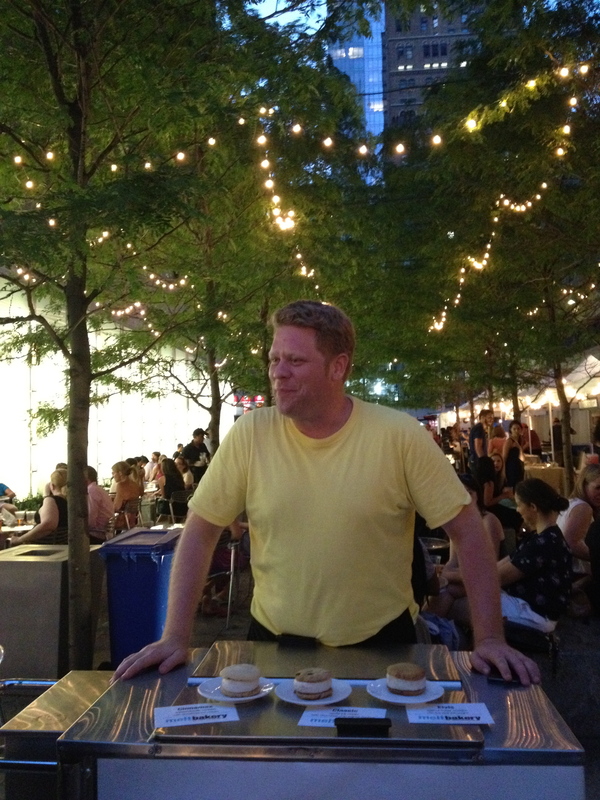 Or catch them real time on the High Line (daily), Hester Street Fair (Saturdays), Hester Street Fair Eventi (Thursdays) or at their new retail location on Orchard Street.